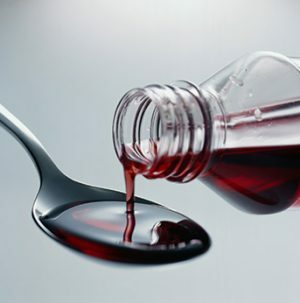 Syrup: a viscous oral liquid that contains one or more active ingredients in solution. The base generally contains large amounts of sucrose, other sugars, or sweetening agents. Syrups may contain ethanol (95%) as a preservative or as a solvent for flavors. Antimicrobial agents may also be added to syrups to maintain the microbial quality of preparation. Elixir: a clear, flavored oral liquid containing one or more active ingredients dissolved in a suitable base that contains a high proportion of sucrose and may also contain ethanol (95%) or a diluted ethanol. Global regulators consider liquid oral dosage forms, specifically solutions and suspensions, to have a fairly low risk in terms of adverse outcomes arising from their packaging. Specifically, Table 1 of the FDA’s 1999 Container Closure Guidance assigns oral solutions and suspensions a moderate level of concern for packaging interactions, based on the high likelihood that a packaging-dosage form interaction could occur and the lowest degree of concern associated with the route of administration. This moderate risk classification is reaffirmed in USP <1664>. Given this classification, Table 2 of the FDA Guidance notes that minimal chemical or biological testing is required and that typically an appropriate reference to the indirect food additive regulations is sufficient if the drug product is aqueous-based. If, however, the drug product contains co-solvents (or is expected to extract greater amounts of substances than water), then additional extractables information may be needed. Alternatively, the Immediate Packaging Guidelines of the European Medicines Agency (EMEA) establish that packaging systems for liquid oral dosage forms (and their materials of construction) could require extensive testing, including extraction studies, migration studies, and toxicological assessment, to establish their safe use. Lastly, appropriate testing for the selection and qualification of packaging materials and systems, applicable to liquid oral dosage forms, is described in various mandatory USP chapters including <660> (glass), <661.1> and <661.2> (polymers), and <381> (elastomers). Given the significant diversity in liquid oral dosage forms, specifically their formulation, packaging systems, and clinical use, it is difficult to make generalizations related to properly designing and implementing extractables and/or leachables studies for this class of dosage forms. In certain simple cases, for example, aqueous drug product, low daily dose volumes, and acute clinical use, it may be possible to directly screen the drug product for leachables at levels approaching relevant reporting thresholds (e.g., AET), thus minimizing the need to perform extraction studies to directly support safety assessment. In more complex cases such as a drug product containing a co-solvent with higher daily dose volumes and chronic clinical use, screening of the drug product for leachables at the AET may not be technically feasible and extraction studies (specifically simulation studies) may play an important role in the safe use assessment. In either case, extraction studies may play an important role in activities other than direct safety assessment, including quality control of incoming materials and change control. Performing successful and practical extractables and leachables assessments for liquid oral dosage forms requires excellence in strategic planning (for example, establishing the proper use of extraction or leaching studies), expertise in study design, skill in study execution, especially in analytical testing, and a profound understanding of materials, extractables and leachables, gained through extensive experience. Because of our vast experience, Nelson Labs Europe has developed a broad expertise in designing and implementing chemical testing programs which leverage state-of-the-art analytical techniques, highly trained and competent analytical scientists, and knowledgeable study directors. Nelson Labs Europe has a long history of successfully partnering with drug product and packaging manufacturers and vendors to effectively and efficiently secure regulatory approval for their products. To find out more about our Liquid Oral Dosage Forms Packaging test services and programs, please feel free to contact us at infoEurope@nelsonlabs.com or call us at +32 (0)16 400.484.